Arrival At New Jalpaiguri Railhead Or Bagdogra Airport & Proceed For Gangtok Evening Free Around M G Marg Market Area. Over Night Stay At Gangtok. 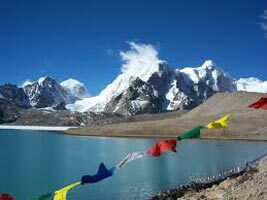 After Breakfast Enjoy A Wholeday Excurtion At Tsomgo Lake, Baba Mandir & Nathula Pass. Night Stay Over At Gangtok. 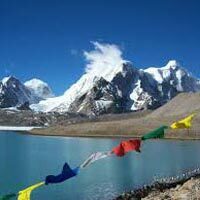 Early Morning After Breakfast Visit Gurudongmer Lake Guarded By Snow Capped Mountains (Alt. 17400 Ft.) Via Thangu, goigong. Have Basic Lunch At Thangu & Visit Chopta Valley (Alt.14700 Ft.) With The View of the Majestic White snake river. Night halt Over At Lachung. Early Morning Visit The Primula Carpeted Valley Of Flowers - Yumthang Valley (24 Km. From Lachung Through Singba Rhododendron Sanctuary), Hot Spring & Proceed For Gangtok. Enroute Lunch At Mangan / Phodong. Night stay over at Gangtok. After BreakfasTransfer To New Jalpaiguri Railhead Or Bagdogra Airport. Tour end.